Butter coffee: Does Bulletproof Coffee taste good? Should You Put Butter in Your Coffee? I don’t know precisely when I first heard about putting butter in coffee. It’s a practice that’s fluttered around the edge of my consciousness for several months at least, its connotations vaguely Atkins-y, vaguely hippie-ish, vaguely hedonistic. It didn’t seem unappealing, necessarily—butter is delicious, and coffee is necessary, so why not?—but I was pretty happy with my normal routine of dosing my coffee with a splash of milk. Then, a couple of weeks ago, a colleague sent an email to Slate’s staff with the subject line, “people are putting butter in coffee?” (The body of the message, in its entirety: “This appears to be a thing?”) The email unleashed a torrent of half-baked notions about this custom. “It’s for hangovers,” declared a video producer. “I thought it was a tech community thing?” replied an executive assistant. “I thought it was a weight/Paleo thing,” suggested a Supreme Court reporter. Everyone had heard of it, it seemed, but no one knew what it meant. This conversation left me intrigued enough to want to try it, so the next morning, I gingerly scooped a teaspoonful of butter into a mug of coffee and stirred until it melted. Floating on the coffee’s surface, the melted butter was iridescent, resembling a miniature puddle of gasoline. I raised the mug to my lips—it smelled strongly of butter—and took a sip. It tasted mostly like black coffee, with a greasy aftertaste. It made the inside of my mouth feel weirdly silky and lubricated. I was, on the whole, repulsed. Was buttered coffee always this gross, or had I just done it wrong? My lips still oily, I did a little reading up on “Bulletproof Coffee,” the phrase trademarked by professional “biohacker”/megalomaniac Dave Asprey to describe his special recipe: coffee (“the lowest toxin, highest performance coffee there is”), “Brain Octane” oil, and grass-fed butter. Asprey claims that Bulletproof Coffee “has a massive impact on cognitive function” and “will keep you satisfied with level energy for 6 hours if you need it, and because I’m having it for breakfast, I’m programming my body to burn fat for energy all day long!” I assumed that this was, like nearly all fat-burning claims, bogus. But I learned from Asprey’s website that butter coffee connoisseurs mix their coffee and butter in a blender in order to emulsify it, turning it into something like a coffee hollandaise, with a more consistently creamy texture than the oil slick I’d drunk that morning. The next day, I had to box up all my belongings to move out of the apartment I’d been in for more than five years, which meant I really could have benefited from “level energy for 6 hours.” So I gave butter coffee another try, adding a little coconut oil and vanilla extract to improve the flavor (tips I’d learned from a blog called Wellness Mama), and shaking the concoction vigorously in a lidded travel mug in an attempt to emulsify it. (My blender had already been packed up.) At first, this coffee indeed had a better texture than the previous day’s: It was frothier, with melted butter globules distributed evenly in every sip. But soon the coffee and fat separated out again, and I confronted a disturbingly shiny surface every time I brought the mug to my face. Flavor wise, the coconut oil and vanilla did not accomplish much—it was still difficult to swallow, and there was a split second after each gulp in which I feared my gag reflex would send the buttery coffee back up again. But I eventually got the entire mug down. Did this coffee give me superhuman energy and focus? It did not. I bumbled around my apartment all day feeling frazzled and incompetent. It’s possible that things would have gone worse without the butter, but I suspect the butter made no difference whatsoever. 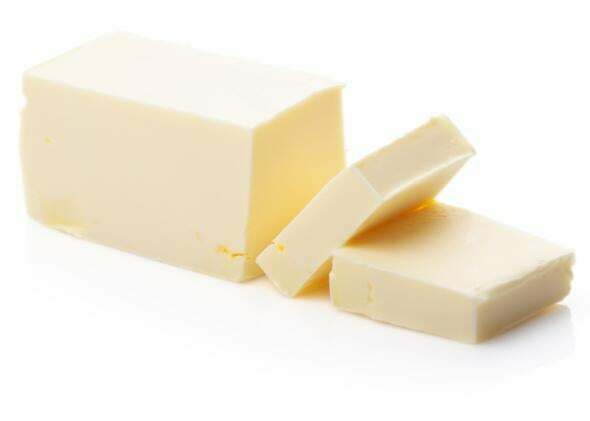 I will grant buttered coffee proponents two things: First, butter has been falsely maligned as an unhealthy food, and it can certainly be part of a healthy diet, as recent studies have shown. Second, grass-fed dairy products are superior to conventional dairy products, both in terms of salubriousness (they contain more omega-3s) and taste. If you enjoy mixing your coffee with grass-fed butter, don’t let me stop you! I, however, will continue using grass-fed milk.